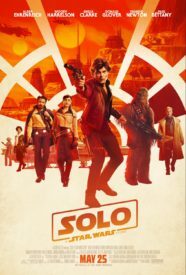 Han goes Solo in this summer’s eagerly anticipated Solo: A Star Wars Story! Now is your chance to win tickets to see how Han became the most charming scoundrel in the galaxy. You won’t have to go to a galaxy far, far away to see this hit film. We have tickets to see this movie right here in New York City on May 22nd! All you have to do is click the link below to enjoy the movie! So what are you waiting for? Stop reading and start clicking!